The Principles of Riding is the English translation of the official instruction manual of the German National Equestrian Federation. 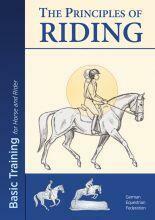 It provides a complete basic instruction course for horse and rider, using the German training system. Wieder entdeckt und jetzt auf DVD! 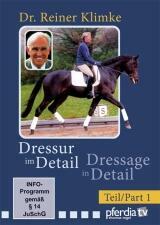 Teil 1 der Lehrfilmreihe von Dr. Reiner Klimke, dem erfolgreichsten Dressurreiter der Welt. In dieser Lehrfilmreihe widmet er sich detailliert den täglichen Problemen des Trainings auf dem Weg zur Klasse L.
Both breeders and fans of the Arabian horse still consider Ammon an indispensable standard work. The knowledge compiled in this volume is fundamental to almost every subsequent treatise. Olympic Champion Ingrid Klimke and her mentor Paul Stecken prepare for Advanced Class (S) with perfect lateral movements or flying changes. Professional rider and instructor Elmar Pollmann-Schweckhorst presents his methods for training show jumpers today. Besides riding courses and show jumping techniques, he also includes warm-ups. 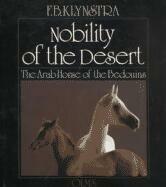 This book is a must for every Arabian horse enthusiast! The book is completed by a short history of Egyptian Arabian horse breeding and also contains an introduction to today’s stud farms in the Arabian Gulf. All in all seven discs contain over ten hours of incredible, never-before-seen footage from the making of the award-winning feature film documentary BUCK.